The world’s 1st Android 4.1 Jelly Bean tablet, with a 7″ quad-core tablet that delivers an advanced multimedia experience with up to 9.5* hours of battery life. World’s best NFC experience on a tablet with a textured tactile design for enhanced comfort measuring just 10.45mm thin and 340g light. ASUS TruVivid technology with Corning Fit Glass for improved color clarity and scratch resistance. 178 wide-viewing angle IPS display ensures unrivaled visual acuity. 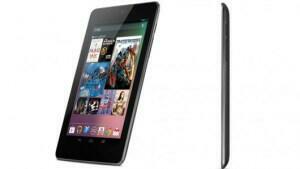 PN NEXUS7 ASUS-1B016A. Note Battery life may vary by use. Stated battery life measured by playing 720p video at 100 nits brightness, with an external microphone, Wi-Fi turned on, Gmail logged in. Let’s start by say it’s been a long time since I blogged about tablet’s as I have been really busy well here a surprise I manage to get my hands on a Asus nexus 7 tablet to start off the screens is really good well runs most games I throw at it with smoothness and no lag . cpu wise the quad core NVidia cpu pack a real punch in most bench marks it is equals head to head with the htc one x.
Ram wise 1gig it handle most games without a hitch or lag which can piss a lot of people off. Storage is 16gig I manage to put about 200 apps on it back what this thing lacks is a sd card which would really hit the sweet spot for most people as for me I like running my apps off a sd card which clears the bottle necks in the cpu and ram. Camera was really disappointed don’t get me wrong hey the 1.2 mega pixel take really good pics but could of don’t with a rear faceing camera to. Sound speaker wise I think the speakers in these give some lap tops speakers a run for their money sounds really lond good bass and voice tones . Operating system Android jelly bean 4.1 out of the box. 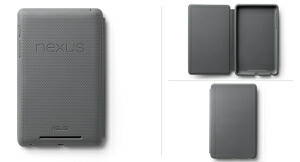 For a cheap a tablet that lack a sd card slot and a rear camera I think it worth a try you wont be disappointed the speed of the cpu and cpu will make you think your on high end tablet for it price the add on I recommend are the asus genuine nexus 7 full body case and a screen protector and your set for the road. I give this about a 7/10 due to lack of sd card and rear camera .